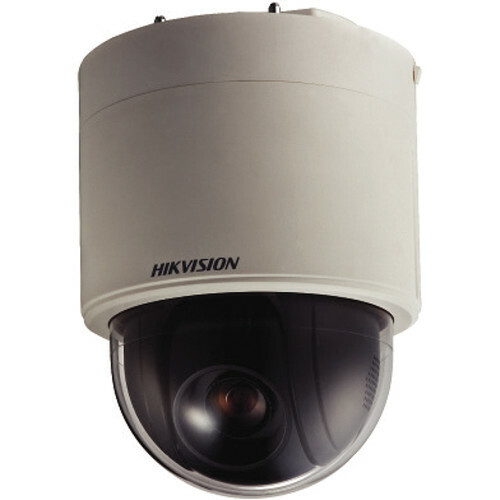 The DS-2AE5230T-A3 2MP PTZ Analog Indoor Dome Camera from Hikvision features a 1/3" progressive scan CMOS sensor that captures images up to a resolution of 1920 x 1080. In addition, the camera also features a 4 to 120mm varifocal lens with a viewing angle of 58 to 1.7°. The camera comes with a host of features such as privacy masking, 3D DNR, and 3D intelligent positioning. 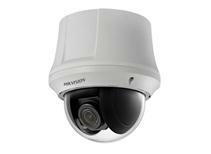 This camera comes in a IK09 vandalproof rated housing to protect it from acts of theft and vandalism.